We would like to thank our Jordanian Partners and, in particular, our colleague Mohammad Najjar, for their wonderful work in holding up the flag of hope and a vision for a better future. In this context it is a great pleasure to share with you information about some of the activities that have been carried out recently by the Friends of Archaeology and Heritage (FOAH), focusing on education and awareness about cultural heritage in schools. The MWNF Virtual Museums and website provided major references for all activities, in particular in promoting awareness about Jordan’s contribution to world heritage and history and facilitating understanding of local heritage and history within the wider regional context. The course covered the documentation, display, interpretation, conservation and storage of artefacts. 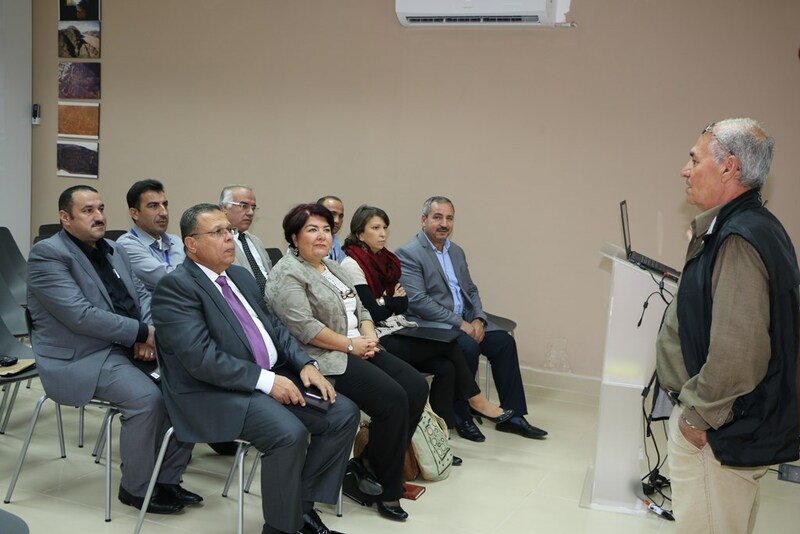 It was attended by curators from the DoA, including curators from our Partner Museums in Amman, Jerash and Ajlun. Mohammad Najjar was one of the lecturers and Discover Islamic Art was presented as an innovative and successful example of interpretation through contextualisation and comparison.